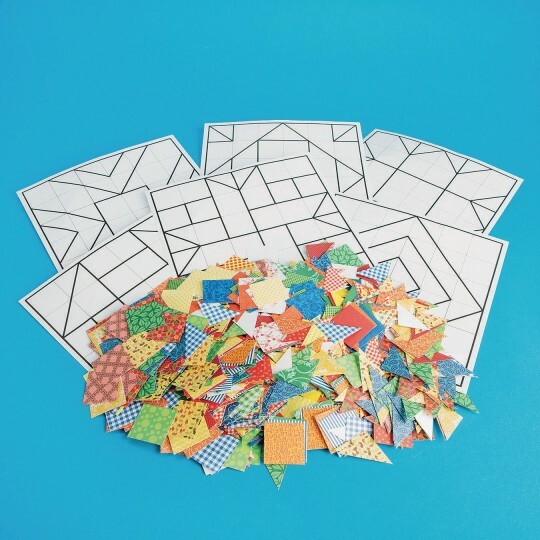 Create beautiful works of art with quilt block designs and paper mosaics! 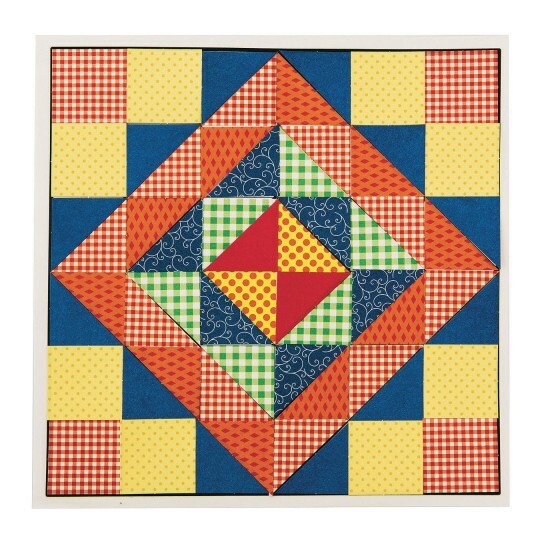 Incorporate concepts of history, math, and geometry into the timeless art of quilting! 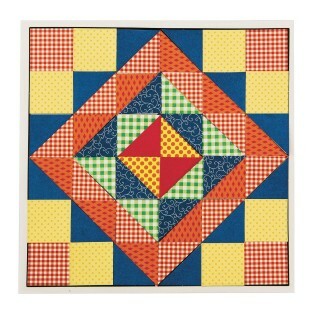 The patterned paper shapes can be arranged onto the reproducible quilt blocks, creating beautiful works of art. The various mosaics in red, blue, orange, green and yellow come in 5 different patterns and a solid. Includes: 6 reproducible quilt blocks, 1440 mosaics in squares (enough to make 32 quilt squares) and triangles of 1-1/4 and instruction guide. Glue sold separately. We recommend GL561 Color Splash Glue Sticks - Purple. Finished Quilt Mosaic measures 8" square. My seniors in an Assisted Living setting loved this craft. Many of my residents were quilters in the past so this craft appealed to them. They loved looking at the different quilt pattern designs and choosing their colors and there are LOTS of colored patterns to choose from. These came out beautifully even the ones made by people with cognitive or physical difficulties. As the other reviewer mentioned there is only one copy each of the designs so you will need to make copies. You will also need to devote an afternoon to punching the perforated paper shapes out. This is the second time making these with a group of seniors and it was successful both times. I even enjoy making these! We used this project with seniors at Assisted Living and Memory Care. Although some of the designs were complex they were a big hit. They enjoyed picking patterns and not matter how they put them on IF they match shapes squares and triangles the design comes through. But even if they chose to use all squares they looked great. I took away one star because I didn't notice that I had to make my own copies of designs. I sued heavier card stock at a local office supply store and was surprised they cost me .50 each.